Fake tanning the face can often seem like a beauty taboo, and I completely understand this. As always with fake tanning, there is the completely rational fear that streaks will appear and the pale will break through, leaving you with patchy skin- the complete opposite of what's wanted. This fear is even more amplified when it comes to applying on the face. Since you know, it's all up in everyone's face. So many opt out and instead decide to complete their sun kissed look with a darker foundation than usual. It comes out in a clear gel, which is super smooth to apply and easy to build up. The tan is completely fine to use as a body tan but the nature of the gel makes it more suited to just use as a facial product The thick consistency means that although its very easy to obtain an even coverage, it's also quite time consuming, it's more of a serum style product than a moisturizer- making it the perfect product for hydrating as well tanning the facial area. Added bonus right? However this makes it a fantastic to build, it's just so easy to control the amount that comes out and judge if it will be enough. The beauty of this product is I don't feel like I'm applying harsh chemicals to my skin like I do when I use mouse or spray tan on my face. I love how it soaks in and quenches. The gel takes a little while to turn into a darker colour, and the shade it gives doesn't look unnatural either. It almost works like airbrush on photoshop, making the skin more even and tanned. And if you want to go a bit darker, then that's where make up comes in! Pack on the bronzer girl but don't worry about your skin going all patchy. Overall this is a fab-u-lous facial tanner. It doesn't leave a tacky tan scent or an ompa-lumpa tone. If you're done using a spray or mousse tan, try sometime different, try this. 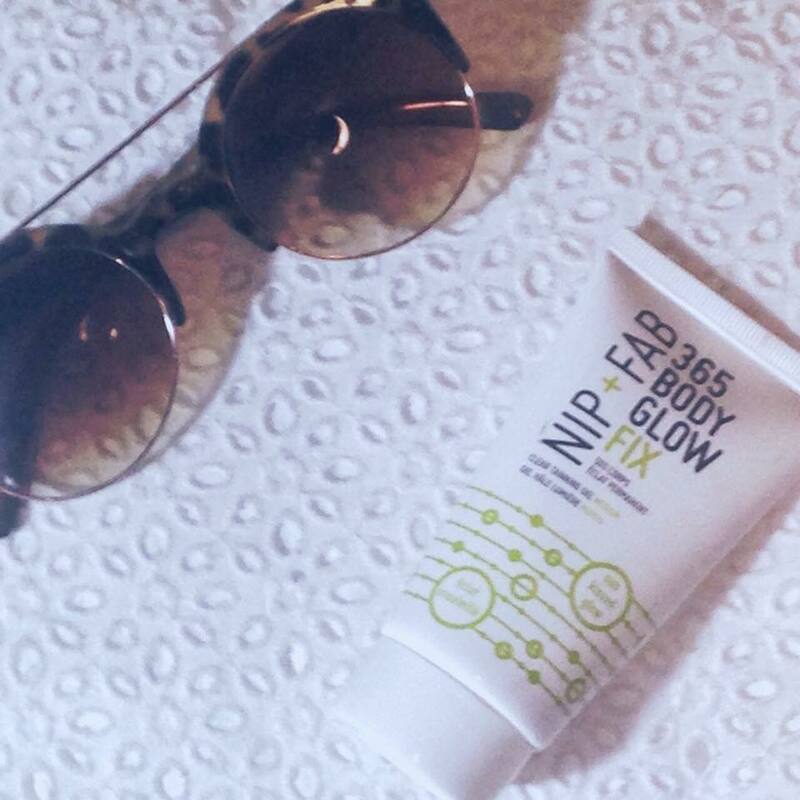 With summer just around the corner this is the perfect way to keep topping up your (fingers crossed natural) tan and keep it on fleek. I haven't ever fake tanned before but I've been meaning to try it this summer before going on vacation. I might pick this up and give it a go since it sounds like it works well, and if the Kardashians use it, I guess that's good pr right haha. I was wondering where you got those glasses from? They're so cute I've been looking everywhere for a pair similar to those! I've heard good things about this one, I'll definitely need to try it for summer! interesting review! I am too scared I'd get botches on my face to do a fake tan haha.